I loved to laugh from when I was just a skinny tiny five year old, despite all the odds at home till my older cousin told me never to open all my teeth when I laugh. He said when I laugh, I open all my teeth and my lips grow wide from ear to ear which made me look like a duck with my pointy lips. Since then, I became conscious and stopped laughing with my teeth open until I got to University and quite a number of people told me I have the most wonderful smile and I should laugh more often. It complimented my big white eyes, they said. Whether or not I look like a ‘duck’, I began to laugh more and I love to open my teeth more in pictures. I look pretty when I do, even if I do say so myself. I tried sports when I was a freshman in High School but my classmates told me when I run, I run funny. I dared not engage in sports since then, except for the exercises I do once in a while ;-). All of these discouragements only made me timid and scared to try new things, to express myself whether good or bad, to be proud in my mistakes and learn from my victories. Even though I have come a long way now, I think I am still living in this atmosphere of limitation – I think. My daughter, on the other hand, I call her small but mighty. (o). She’s the little sister with a big attitude. Even I find it difficult to discipline her sometimes. She is an assertive three-year-old. She knows what she wants and how she wants to be respected. She lives her life happy, hugging as she goes along. I’m concerned I don’t know how to curb her but I am so confident she will do well and go far with little interference. Lesson: Live life, love life especially because you are a lady. Be beautiful and confident. Let no one tell you, you are less than who you are – not your father, brother, cousin, husband or whoever. 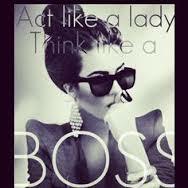 You are a lady, don’t be afraid to act like one but think always like a boss. The world will respect you for it. 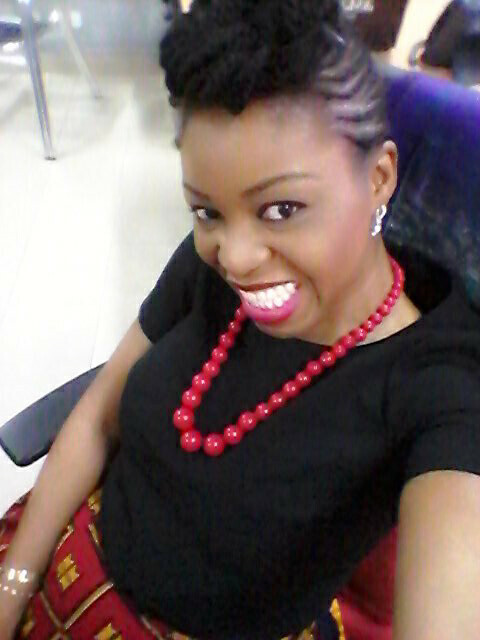 I used to think that acting like a lady in the workplace meant being accepting and timid but now i know better. Learnt the hard way that i am not what anyone says i am, i am who i can be.